Say ‘Scandinavian style’, and many people visualise light, clean-lined spaces, inspired by images from Nordic noir crime series, Ikea ad campaigns and interior design articles. 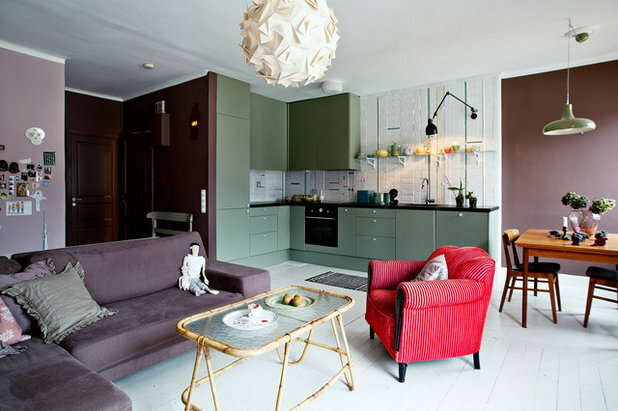 But in recent years, colour and darker shades have worked their way into Scandinavian homes and photo shoots. 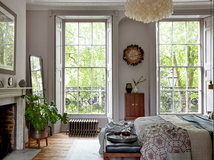 Nordic walls must have been longing for a hit of colour, as living rooms and bedrooms have thirstily embraced shades of grey, blue, green and pink. Why have Scandinavians suddenly welcomed colour, and how is it being used? With the help of trend studies, forecasts and a look in the rear-view mirror, we follow the journey of colour into Nordic homes. Why do we think of Nordic homes as light? 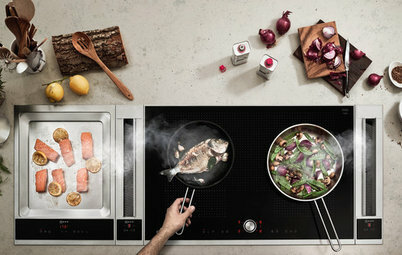 Scandinavian homes traditionally have been designed to maximise sunlight. Stockholm is the Nordic region’s sunniest capital, with about 1,800 hours of sunshine a year, and that figure is at least 1,000 hours short of the amount enjoyed in Madrid, Sydney and Miami. 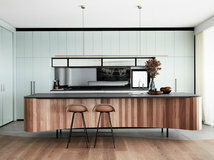 “The foundation of Scandinavian design, and our Nordic homes, will always be brightness and simplicity, because it’s simply what we need due to the lack of sunlight,” says Karl Johan Bertilsson, creative director at NCS Colour Academy, which offers colour consultancy services to manufacturers, architects and designers around the world. “What we’re seeing now, however, is a change,” Bertilsson says. 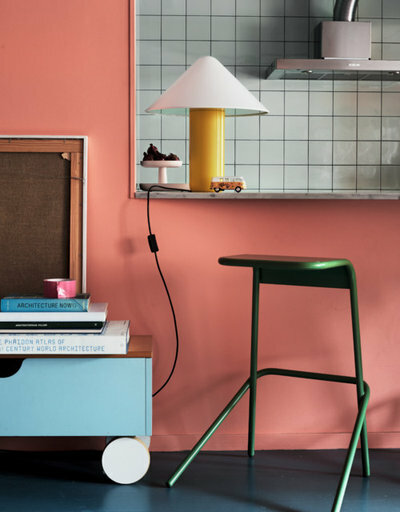 “During the last two or three years, bold colours have returned.” Though a common perception is that Scandinavian homes have been whitewashed and pared back for decades, if not centuries, there have been cycles of colours in the Nordic countries. 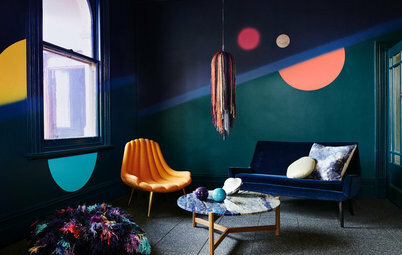 The 1970s had a touch of psychedelia with bright colours and vivid patterns, followed by pastels in the 1980s and mottled earth tones in the 1990s – all of which preceded the pure paleness of the new millennium. But now the spectrum is changing again. 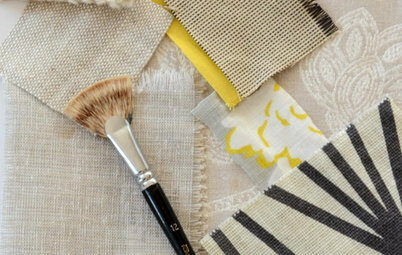 At Nordic trend exhibitions and fairs, interior design has moved away from the pale blues and violets of the past towards clearer, stronger colours – most recently, orange, pink, yellow and red. “Trends often represent a reaction to what used to be,” Bertilsson says. 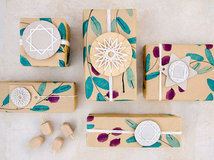 “The fashion industry is always the quickest to react, but the interior decoration and design industry isn’t far behind. 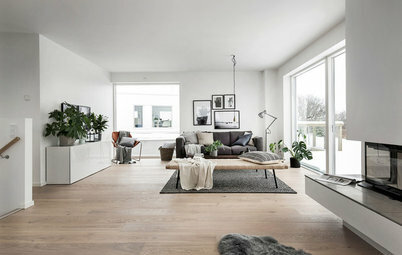 Since the turn of the millennium and until now, neutral colours, such as white and grey, have been the dominant shades in most Scandinavian homes. 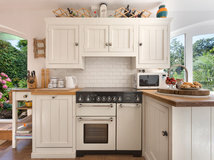 The [brighter] colour that’s now becoming increasingly popular is simply a response to that. “However, it’s important to remember that trends are both speculative phenomena and processes that sometimes overlap, and they’re only able to gain ground when we’re mentally ready to accept them,” Bertilsson says. 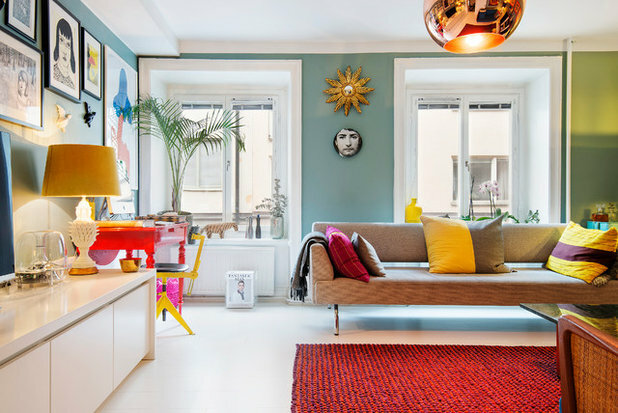 One individual who’s dared to use strong colour, and whose home (pictured) has received a lot of attention, is Daniel Heckscher, interior architect and designer at Note Design Studio in Stockholm. 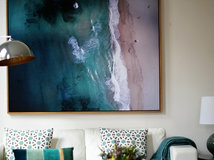 He’s painted his home in a palette of turquoise, orange, pink, blue-green and bright yellow. 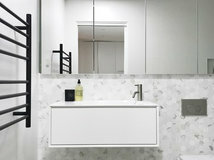 Pictures of Heckscher’s colourful home have been published in the new bookazine My Residence, where he writes that people dress in black and use white for interior design because they don’t dare do anything else. 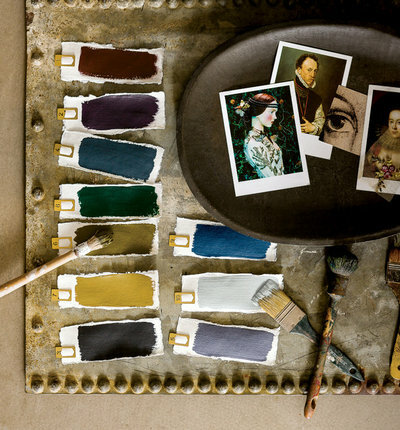 What determines when colour trends break through? Bertilsson points to studies that NCS uses to develop its trend analyses. “There’s research that shows colour trends are cyclical,” he says. “Austrian [design consultant and psychologist] Leonhard Oberascher has studied colour psychology and been able to prove that colour trends repeat in cycles of 10 to 15 years. When everything is white and neutral, you grow tired after a while and eventually want to go to the other extreme of the spectrum. Humans work in the same way with everything, and colours are no exception. “What [Oberascher has] been able to pinpoint specifically are the stages we go through along the way,” Bertilsson says. “Everything was very neutral in our homes a few years ago, then the blue and violet colours took off. This was followed by the chromatic colours. These will subsequently be dampened and darkened, before the brown and beige nuances step in, followed by a return to the neutral colours. The reality exactly follows the patterns that Oberascher has been able to map out.” This is true internationally, but with the Nordic homes as early adopters. There are other factors at play too. Theoretical trend pyramids show that we’re receptive to trends at different points in time, depending on what our current job is, where we live and how we live. “We’re all affected by trends, whether we like it or not,” says Bertilsson. 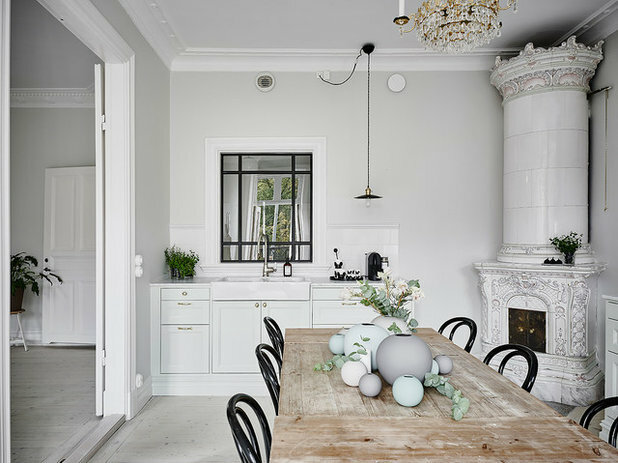 “Swedes and Danes enjoy a privilege, given our geographical, social and cultural environment, in the sense that we don’t only have the will, but also the means, to carry out extensive home redesigns. 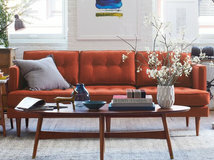 Therefore, as the chromatic colour trends are on the way, we’ve not been late to embrace them. “In a lot of other countries, people decide to repaint their walls when the colour has started to peel off. In Sweden and Denmark, paint shops look like interior design stores, because when we buy paint, we try to achieve a wholeness. 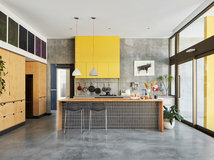 We want to fulfil an idea where the colour plays a big part,” he says. 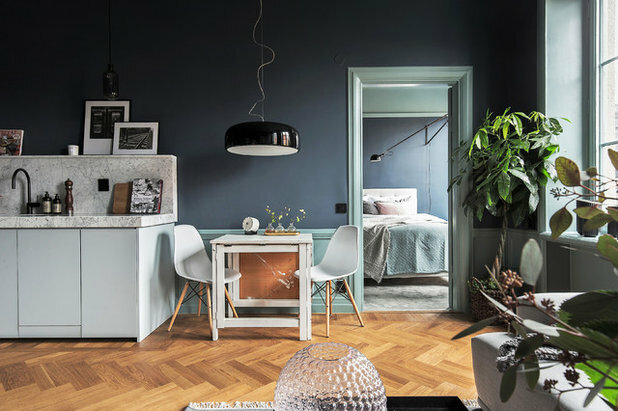 The Nordic consciousness in terms of colour and design has lately been augmented by influential interior design bloggers, who have shared their advice on colour codes. 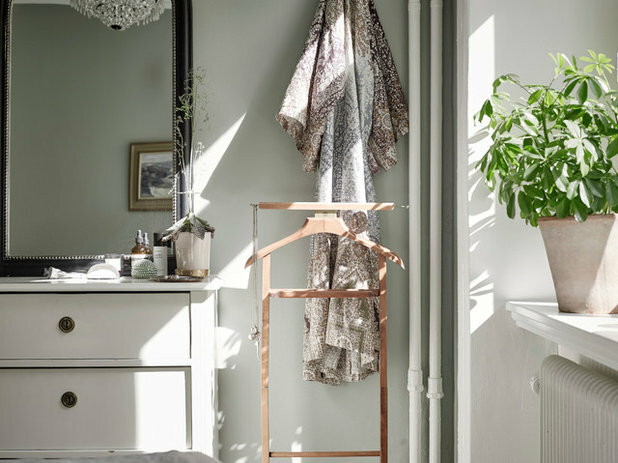 Arguably the most famous bedroom colour in Sweden in recent years has been nicknamed ‘Tant Johanna’s Green’ (pictured) after stylist and blogger Johanna Bradford, who painted her bedroom in the pale grey­-green colour. 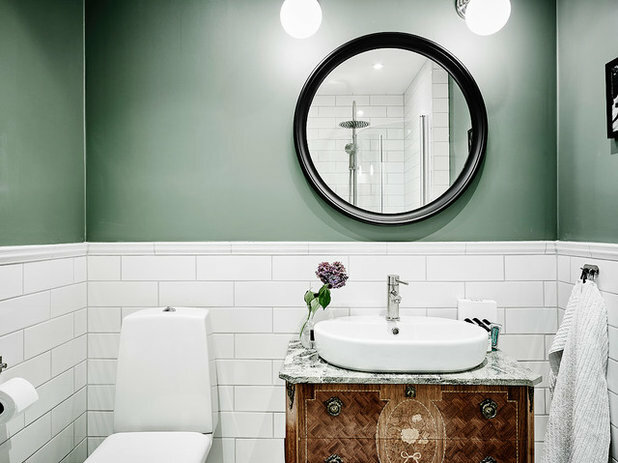 So, despite the fact that Scandinavians have begun painting with colours, they appear to do it within specific boundaries – the hues are subdued, rather than brash and bold, for example. 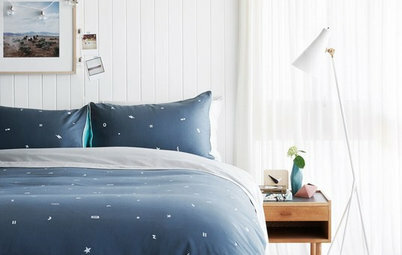 “We dare to use more than just white, but I still think the end result is quite similar everywhere, since most people choose the same colours – as in the example of my bedroom wall,” Bradford says. 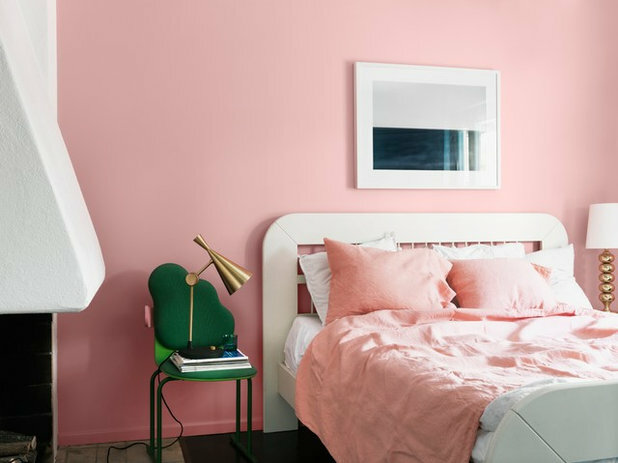 But don’t be fooled by the most recent white decades into believing that colourful walls in Nordic homes are a new phenomenon. Karin Fridell Anter, architect at the Swedish Association of Architects, has, together with Henrik Wannfors, written the book Painting Methods: Swedish Building Painting Methods From the Late Middle Ages to the Present Day and has a longer view of colour trends. “Coloured walls have come and gone in Swedish homes repeatedly throughout history,” Fridell Anter says. 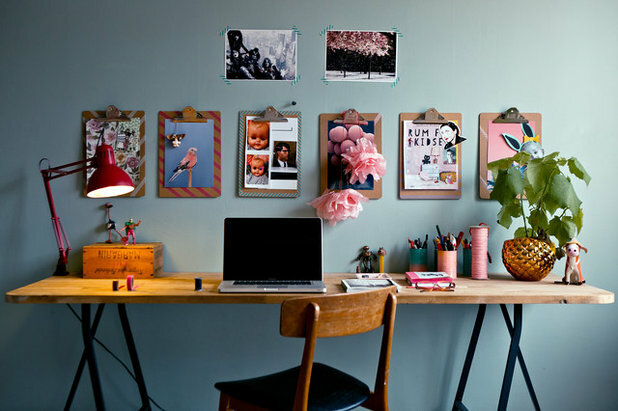 “What has mainly determined the choice of colour is the availability of different shades and current style trends. The trend pendulum keeps swinging as a counter­-reaction to the past, but the difference is that the pendulum is swinging ever faster. “In the 1970s, we painted and wallpapered with strong colours and large patterns that resembled those of the Baroque period. 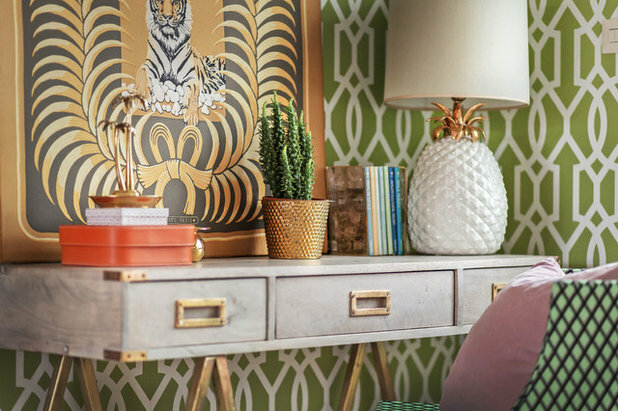 The 1980s represented a counter-reaction that featured brighter pastels, and the 1990s again saw the return of mottled walls in earth tones, such as terra cotta, or navy blue and/or bright yellow,” she says. 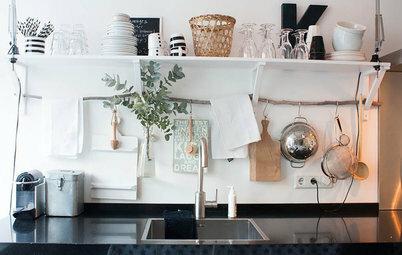 Did Swedes paint their homes more for practical reasons in the past? “No,” says Fridell Anter. “The purpose of interior painting in Sweden has always been to make the home look beautiful and to manifest something – to show via themes on the walls, the selection of colours or the decorations that you were a pious person, rich or aware of trends that were dominant in other cultures on the continent. 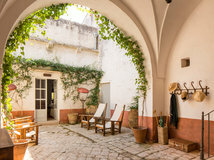 “In the same way that contemporary Swedes express themselves via interior decoration, the home was a status symbol in previous centuries, too,” she adds. 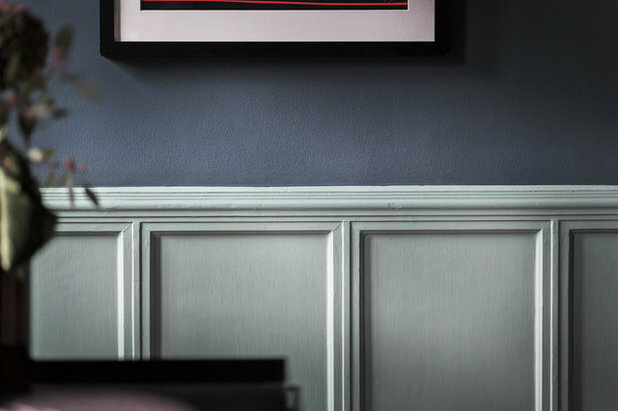 As such, coloured walls are not a new phenomenon in Scandinavia, but the style of painting perhaps has changed over the decades. 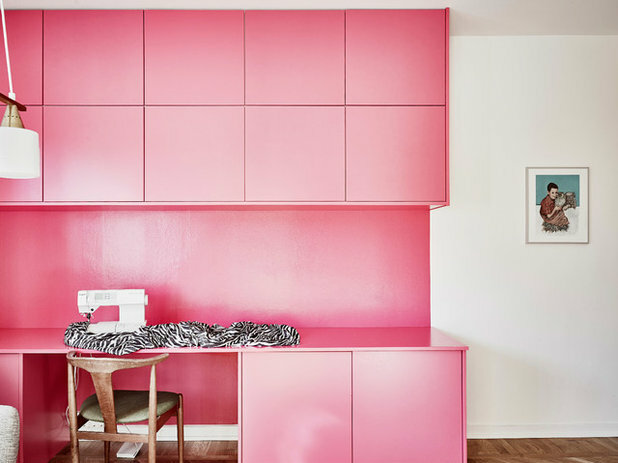 Psychological factors, colour as a personal form of expression, and current trends appear to represent part of the explanation for Scandinavians’ sudden love of colour. 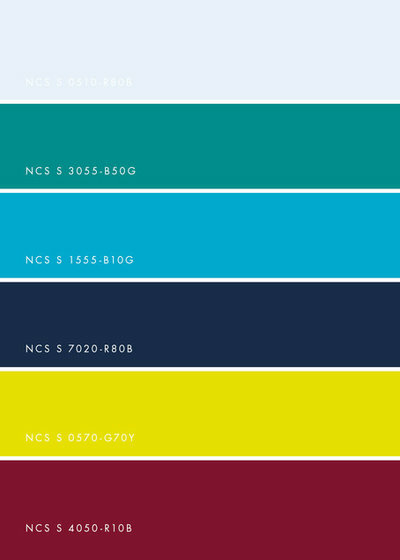 However, another strong factor in colour choice is the response to contemporary life. NCS’ trend analysis for 2016 takes into account political events, the effects of digitisation and global phenomena. The big difference between the company’s 2015 analysis and this year’s is that the colours are more extreme than before – moving from bright and soft nuances to more dramatic and darker colours. One word that often comes up when talking about Scandinavian style is nature. Has it been responsible for the colour trend? 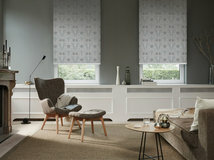 Stockholm-based colour company Alcro suggests that Scandinavians incorporate nature themes into their homes with some of its 2016 colours, which it says “bring to mind forest creatures, misty meadows and bewitching dreams that take place in the hours of dawn”. With that in mind, the blue-green themes that have become popular on the walls of homes in Sweden and Denmark aren’t entirely surprising. 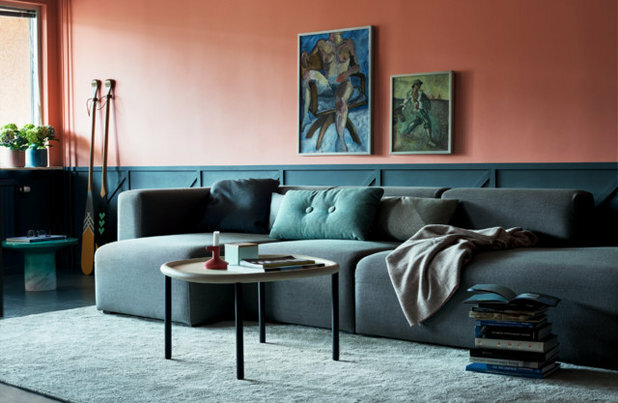 According to Oberascher’s colour trend timetable, Scandinavians should be right in the middle of the trend cycle and should look forward to warmer walls before they’re dampened and eventually become white again. 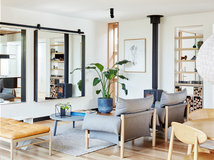 With hindsight, Scandinavians seem to be quick to follow interior decoration trends – and the question isn’t whether they will all follow the trend toward using more colour in their homes, but, rather, whether they have time to do so. 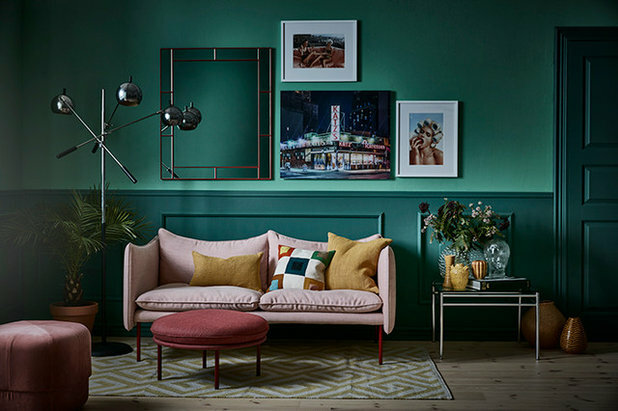 Unlike centuries ago, when it took several decades for colour trends to reach Swedish farms, the wheel is spinning faster, and changes are taking place in a digitalised, globalised world. So perhaps there’s no reason to debunk the myth of the white Scandinavian home after all. The newly painted colourful wall might not even have time to dry before the trendsetters have painted it white again. 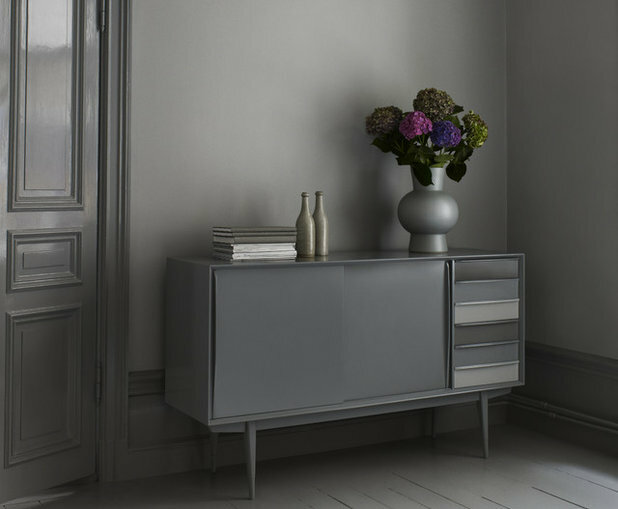 What do you think of the new Scandi colour palette; will it last, and will you be jumping on board the bandwagon? Share your thoughts in the Comments below. 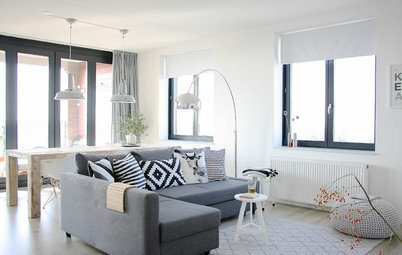 So true: "scandistyle" is getting warmer and warmer, and we love it more and more! Much happier ambiences than all snowy white!